As a sports fan, today is the day that we all look forward to: a winner take all, Game 7 finals game. Nothing is more thrilling, exciting, nerve-wracking, and heart clenching than the last game of the season for all the marbles. At the end of today, we will have a NBA Champion. 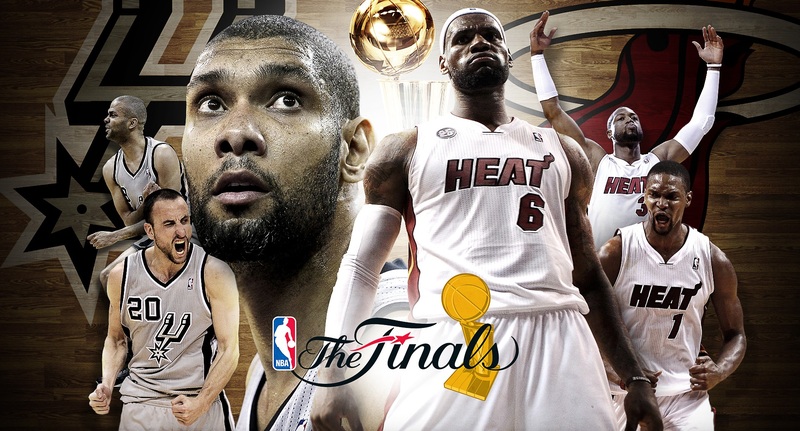 After one of the best playoff games in recent history, it is now or never for the aging Spurs and the Heat. Tim Duncan dominated the first half of Game Six with 25 points but was held to just 5 in the third quarter by a stingy Miami defense. Lebron James played like a man possessed in the fourth quarter and overtime. In today’s matchup, the major factor will be the coaches. Let’s be honest and admit that in the NBA coaches aren’t as important than in other sports- except for today. Spoelstra and Popovich have been in a chess match all series long. With a majority of the population questioning Popovich’s decision making in the fourth quarter, it is now or never for the Spurs. Miami must be able to get points from Wade and the role players. Bosh, who has taken a beating all playoff long, must play even better than he did last game. Lebron James will not be stopped and will continue to dominant the game. For the Spurs, Manu Ginobili is the key. After being inserted into the starting lineup for Game 5, Ginobili flat out balled. In Game 6, he was the worst player on the court posting a -21 +/- and finishing with 8 turnovers.